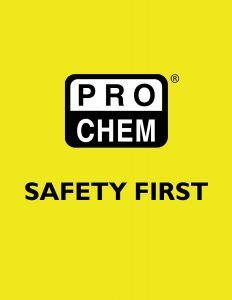 TRUE BOND PATCH | Pro Chem, Inc. 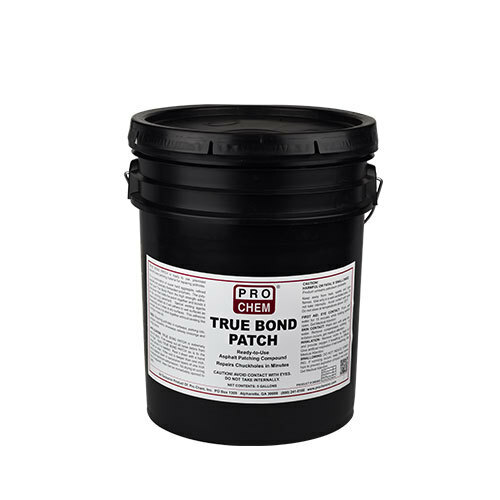 TRUE BOND PATCH is a ready-mix compound of finely graded mineral aggregate and specially prepared asphalt and additives for repairing holes and expansion joints in asphalt or concrete surface. It sticks to asphalt and concrete with a primer, even in cold, wet weather. The surface should be clean of grease, oil and dirt. If extremely dusty, hose the surface down with water. The surface need not be dry before applying. Take care to keep vertical edges of hole as clean as possible to allow for best adhesion. Material works best over a solid base; do not use over mud or clay. Remove material from the drum just as it is and place it where needed by shoveling or pouring it in. Level material slightly higher than desired depth to allow for compaction. Pack it down with a hand tamper or roller. If the void is deeper than 1 inch, tamp material down in successive layers of 1 inch to assure maximum compression. No drying or curing time is required. Area can be immediately opened to traffic. Coverage rate is approximately 7 square feet at 1 inch deep.